The garage door opener is one of those forgotten devices in your home that's only ever noticed when it breaks. But Ryobi wants it to be the focal point of your garage workshop with modular upgrades that vastly expand its limited functionality. As far as garage door openers go, Ryobi has ensured that it has all of the basic features consumers expect these days, like multiple remotes and control panels with passcode functionality, obstacle detection, a belt drive system that's 20 per cent quieter than the competition, and even connectivity to a smartphone app so you can open or close the door while away from home. There's even the option of attaching a Ryobi rechargeable battery, the same type you'd connect to a power tool, to keep the garage door opener running — for about 100 open and close cycles — during a power outage. 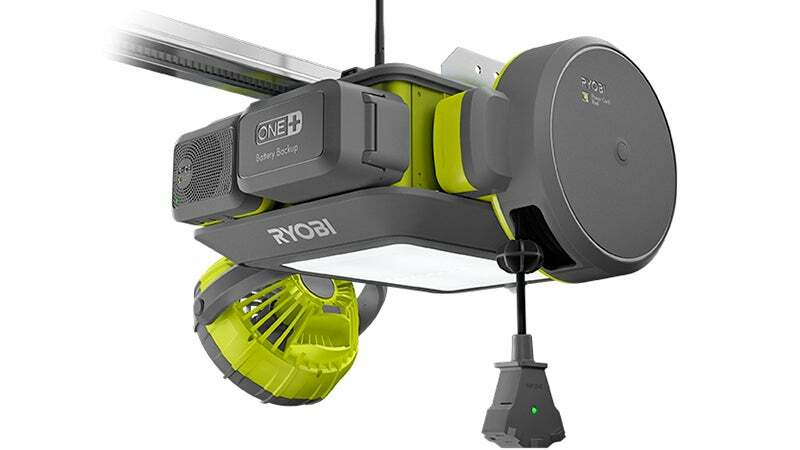 Where Ryobi's garage door opener gets really interesting is the series of add-on modules — starting at $US44 ($58) — the company has created that add varying degrees of useful functionality to the overhead device. Like the garage door opener itself, the adjustable fan and carbon monoxide detector modules provide passive functionality. They're both useful, but equally forgettable. The attachable Bluetooth speaker might be handy if you find yourself spending a lot of time hanging out or working in your garage, and the 9.14m long retractable cord reel will let you power tools without extension cords lying all over the place. 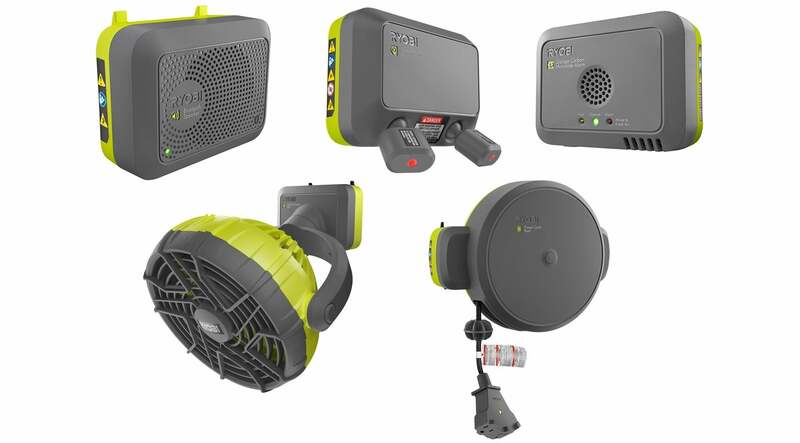 But the most useful module — and the most compelling reason to upgrade your garage door opener to Ryobi's new $US248 ($326) option — is the Park Assist Module which uses a pair of ultra-bright lasers to make it easier to know when you've parked as close as you can to the wall of storage boxes in your garage without crushing them. The one module that Ryobi forgot was a mini fridge add-on that lets you keep a few chilled drinks on hand for when you need to hide out in the garage, but there's always time for the company to keep expanding the available modules.